Intimate-partner stalkers frequently approach their targets and their behaviors escalate quickly. Stalkers use a variety of methods to stalk victims, including following the victim on foot or in a vehicle, or using email, instant messaging, video cameras, digital cameras, listening devices or global positioning systems (GPS). If you are in immediate danger, call 911. If you are not in immediate danger, call the local police non-emergency number. Trust your instincts and don’t downplay the danger. Don’t communicate with the stalker or respond to his/her attempts to contact you. Keep evidence of the stalking. If a stalker follows or contacts you, make note of the date, time and location that the incident occurred. Keep all emails, phone messages, letters and notes from the stalker. Obtain a court order that instructs the stalker to stay away from you. Decide in advance how you will respond if the stalker shows up at you home, office, school or somewhere else. Try not to maintain set habits. Periodically change your route to work as well as the time and day of the week that you conduct personal tasks such as grocery shopping. Develop a safety plan. Have friends or relatives stay with you and/or accompany you when you go places. If you feel you are being stalked, notify the police immediately. The SIUE Police Department can be contacted at 911 in cases of emergency or at (618) 650-3324 for non-emergency situations. Although there is no specific definition of cyberstalking, the term cyberstalking is generally used to refer to the “use of the Internet, email or other telecommunication technologies to harass or stalk another person. It is not the mere annoyance of unsolicited email. It is methodical, deliberate and persistent. The communications, which frequently contain inappropriate, disturbing or threatening content, continue even after the recipient has asked the sender to cease all contact.”* Additional information regarding cyberstalking is listed below. Everyone who receives email or uses the Internet is susceptible to cyberstalking. Cyberstalking includes monitoring, false accusations, cyber bullying, harassment, threats, ordering goods or services on behalf of the victim or damaging data or equipment. Sending unsolicited emails that include harassing, obscene or threatening comments. Creating false postings or spreading rumors about the victim. Creating a web page on the victim with personal or fictitious information. Assuming the victim’s persona on-line (i.e. chat rooms, newsgroups, etc.) for the purpose of discrediting the victim, damaging the victim’s reputation or soliciting unwanted contact for others. Avoid clicking on redirect links from users you do not know or trust. Redirect links are frequently from spammers who will redirect you to a virus. Your full name, home or cell telephone numbers, home address, name of school, date of birth, social security number, credit card numbers or images of yourself, your school or your hometown. Do not provide personal information to strangers in emails or chat rooms and use a screen name that is gender and age neutral. Be extremely cautious about meeting on-line acquaintances in person. If you are going to meet an on-line acquaintance in person, do so in a public place and never do so alone - take a trusted friend with you. Ask the harasser to stop and/or block all email from them. If it continues or you feel unsafe, notify the police. Cyberstalking is a very under-reported crime. If you become the victim of cyberstalking and feel you are in danger, do not brush it off. Report the matter to your local police agency at your earliest convenience. 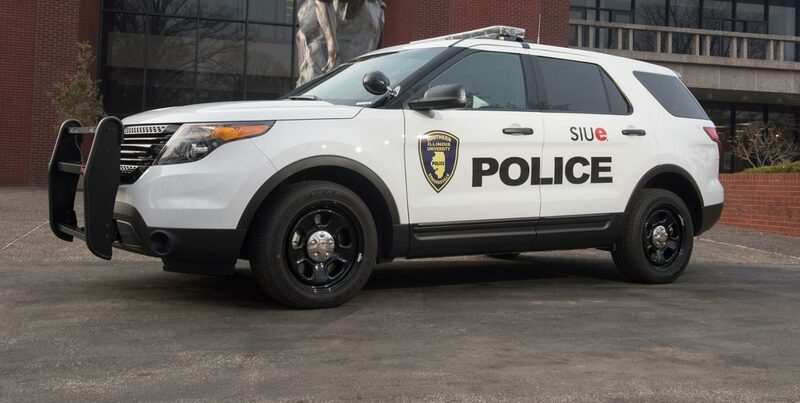 The SIUE Police Department can be contacted at 911 in cases of emergency or at (618) 650-3324 for non-emergency situations.